Susan Ritchie and Karen Miller are the proprietors of Mrs Moon, an online yarn store, and their mission is to show you how simple it is to create your own modern-casual crochet garments, accessories, and homewares. There are easy-to-hook projects in bulky yarns that will grow so fast you’ll be finished in a day, and larger or more intricate items that will take longer, but are well worth every stitch you hook in to them. There are pieces that are perfect for beginners to crochet—such as a chevron throw, a simple beanie, or a snuggly cowl—and other projects that introduce lacy and textured stitches so you can expand your skills at your own pace, and with the help of the techniques section at the back of the book. Choose to make a delicately lacy ombré scarf, a hipster granny-square coatigan, or a giant owl amigurumi that children will love. 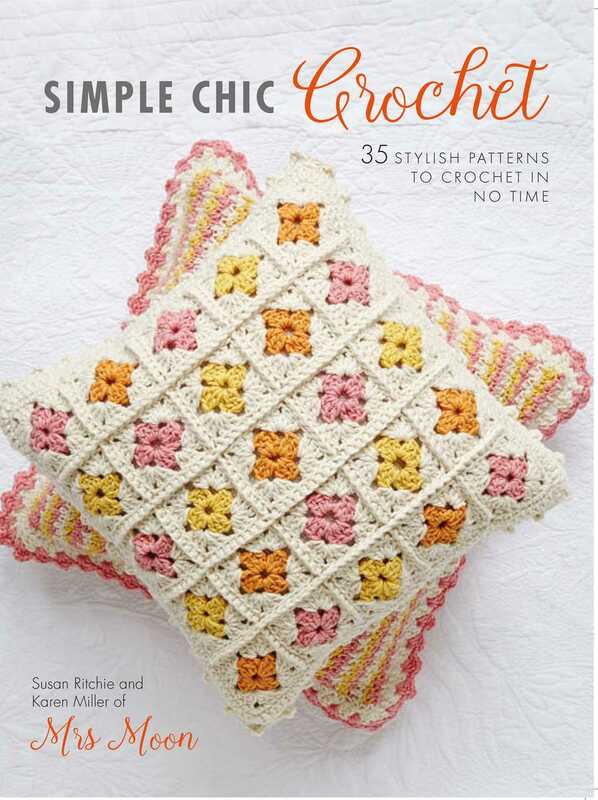 Whatever your skill level, Susan and Karen have designed projects for Simple Chic Crochet that you will love to make for your home, your friends, your family, and of course, yourself.